Insiders reveal Kim Kardashian and Kanye West are spending hundreds of thousands of dollars on the invitations and special keepsakes for guests of their wedding. 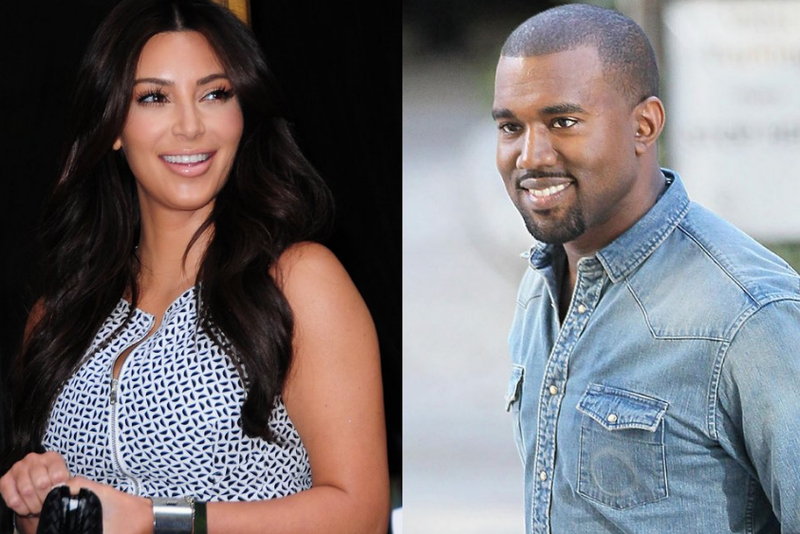 Kim Kardashian and Kanye West will spend £75,000 on each of their wedding guests. The couple are expected to tie the knot in Paris next month in front of 200 of their loved ones, and last week those lucky enough to be asked to attend were given hand-delivered invites which each cost £600 to produce. "Kim and Kanye wanted the invites to be as lavish as possible and commissioned a couture designer to create gold silk boxes containing a photo album of their fairytale romance and a silk invite etched in real gold leaf with a clasp of natural pearls. "It's the first glimpse their friends and family have had into their Paris wedding so they wanted them to be special." A source told Grazia magazine. The couple - who have nine-month-old daughter North together - are said to have hired the 199-room Trianon Palace Hotel for their guests, who will be flown by private jet to France, to stay in, and no expense will be spared for their comfort. The source added: "Guests will be greeted with goodie bags containing £300 bottles of Bollinger champagne, £120 Creme de la Mer products, handmade souvenir trinkets with Kim and Kanye's initials etched in Swarovski crystals, bottles of scent from local perfumeries and £150 vouchers for treatments at the hotel spa. "This is going to be the wedding to end all weddings and Kim wants to ensure that she and Kanye, as well as all their guests, have an experience they will never forget." As for the bride herself, she is planning to don three wedding gowns on the big day, and is said to be having a spray tan containing real diamonds and 14-carat gold so that she "sparkles". I thought she said this one would be low key. 3 gowns? somehow the words splash and lim kardashian in the same sentence grosses me out. Kanye already said in the Vogue issue that Kim is a fairy tale fantasy period, so I expect nothing but a high class fantasy wedding but senseless money being spent just to prove to yourself that Kim is worthy to be a wife because of your own fantasy of her and wanting every one close and around you to believe in your fantasy. Bottom line is when this fantasy do ware off, what do you do? I think they should put money being spent into a account for their daughter. Kim already had a fairy tale wedding when that in it self only lasted 72 days. Kanye take notes calm down and be more on the low key side.Stop trying to win people over by wanting your life fantasy.